very good location and the apartment very suitable for 6-8 persons. Thanks to Mr. Lim because he very friendly and fast respon. Overall is Excellent. The place was perfect! Everything about it was great! Worth for money. For the price, you got 4-star all-in apartment. The furniture as of date of stay is still new and beautiful. Great for big family. The stay is serene,quiet, and free from traffic. Definitely will stay here again. The view and location next to the olde Smokehouse and golf course was great. Very glad we didn’t book in the towns. It was a good size for our family of 5. 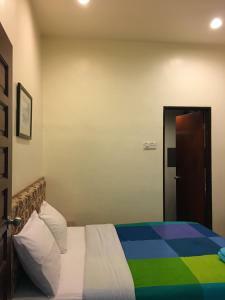 Everything is good.room is clean and comfortable ,scenary nice value for money..
Room was so spacious, owner had high speed internet and he had a hard drive with the latest movies hooked up to the TV. Family enjoyed crashing in the room at night and we watched movies together. The location was most ideal and convenient. Its just next to Smokehouse Resort. Nice balcony with the golf course in view. Strong water pressure hot & cold. Sufficient and good condition furnishing. The owner was friendly and accommodating. Good location and the hotel cleanliness and facilities is good. 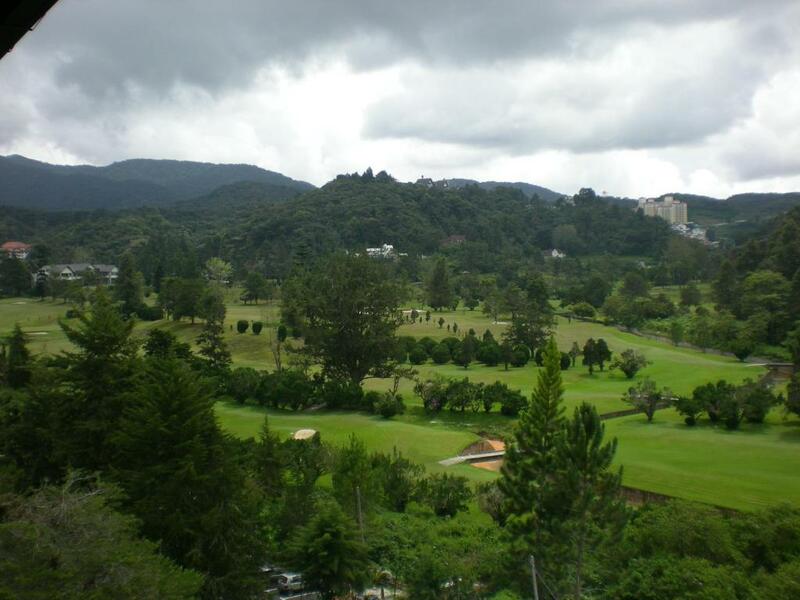 The place was great and the golf Course View is very beautiful. Very Clean and Comfortable. This apartments actually owned by person .the furniture specially the bed is very bad and they put the kitchen towels for shower towels .the internet is very weak and you must site outside the apartment to get the signal. Overall the location is far away from any shop. Lock in a great price for CH Green Stay Resort Apartment – rated 8.3 by recent guests! One of our best sellers in Cameron Highlands! 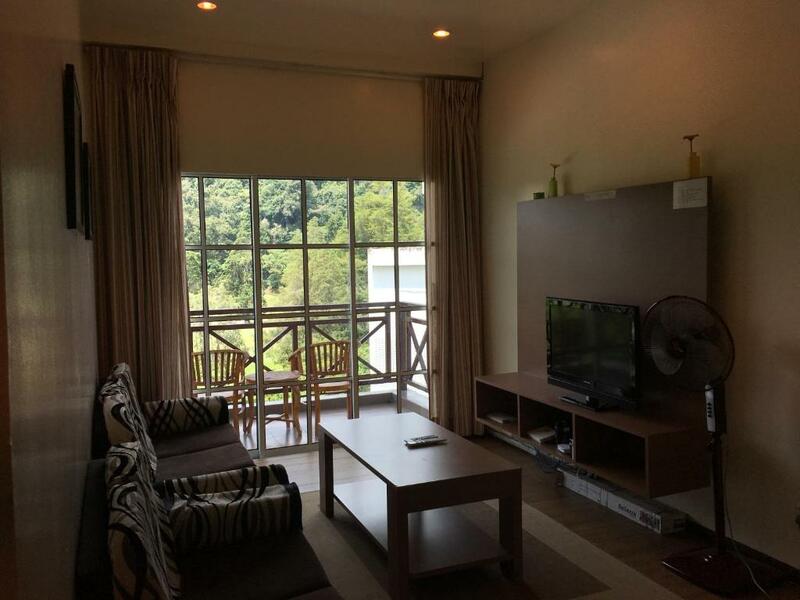 Guests of CH Green Stay Resort Apartment can enjoy the cool climate of its location in Cameron Highlands. 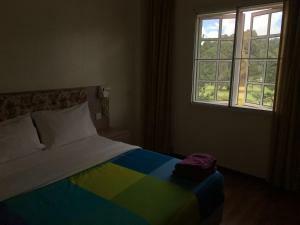 Located next to Pekeliling Padang Golf, the property features free Wi-Fi access and complimentary parking. 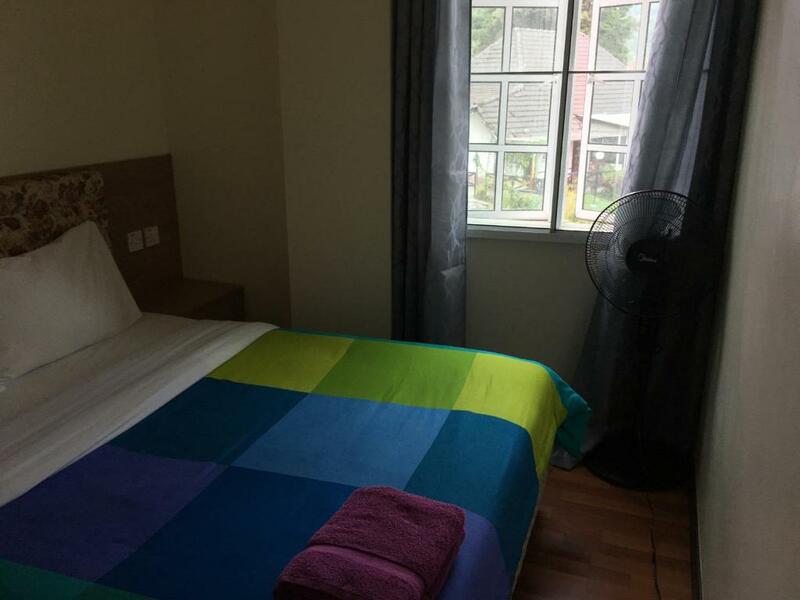 The 3-bedroom apartment features a dining area and 3 bathrooms with hot water supply, toiletries and a hairdryer. The living area offers a flat-screen TV with satellite channels and comes with a balcony facing the golf course. The kitchenette offers a fridge, a microwave, an electric kettle, rice cooker, cups, plates, spoons, forks and knives. CH Green Stay is a 2-minute drive from Brinchang Town and a 5-minute drive from Tanah Rata Town, where international dining options can be found. 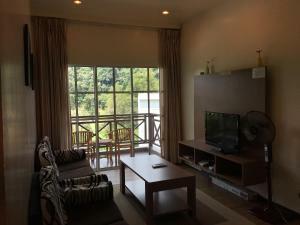 This property is also rated for the best value in Cameron Highlands! Guests are getting more for their money when compared to other properties in this city. 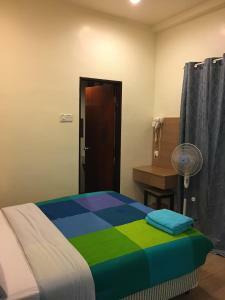 When would you like to stay at CH Green Stay Resort Apartment? This 3-bedroom apartment features a dining area and 3 bathrooms with hot water supply, toiletries and a hairdryer. 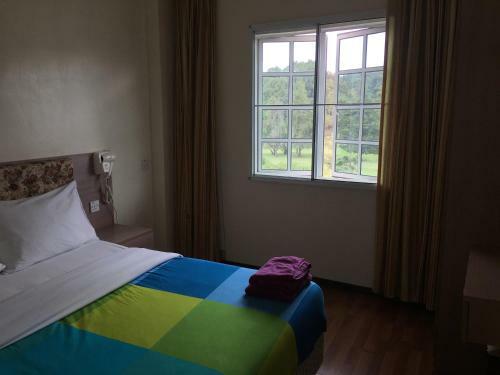 The living area offers a flat-screen TV with satellite channels and comes with a balcony facing the golf course. The kitchenette offers a fridge, a microwave, an electric kettle, as well as rice and steamboat cookers. House Rules CH Green Stay Resort Apartment takes special requests – add in the next step! Please inform CH Green Stay Resort Apartment of your expected arrival time in advance. You can use the Special Requests box when booking, or contact the property directly using the contact details in your confirmation. Need to replace kettle. Fuse blew. As per previous reviews. Green and quiet. Perfect getaway for family bonding. Dedicated parking lot. Safe place. Helpful and prompt host. Will return. Located in a nice and quiet area facing the golf course. 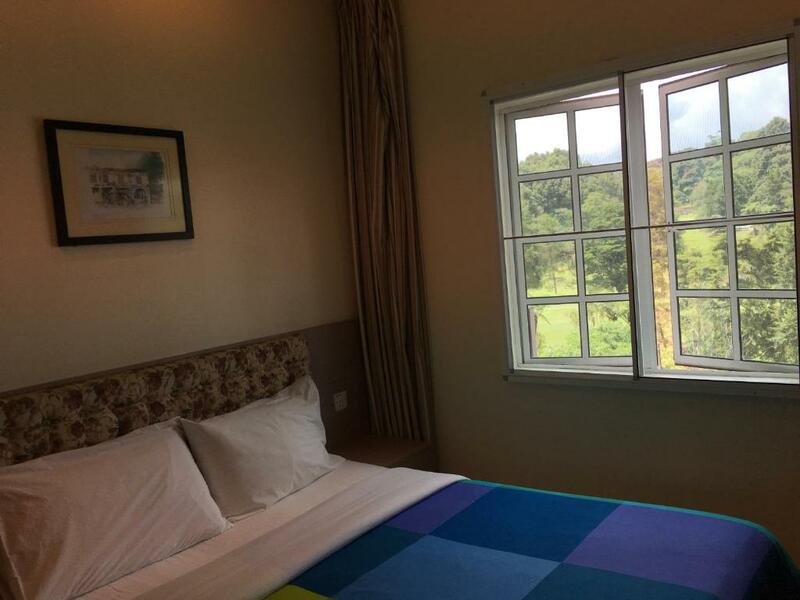 CH green stay resort apartment is a the best place because it have mountain view. Very comfortable and clean. staff also friendly. The cleanliness and nice host. It's all a bit musty, tired and DIY. Couch from the 1970s, and a homemade coffee table of chipped laminate to match. The fridge door was warped and wouldn't seal. The (tiny) TV had no reception or cable, only a media player with ripped movies. Although the wifi network and password listed were wrong, once rectified the speed was great. It was clean enough. The water was hot, and the parking covered. Cleanliness of the apartment, especially the utensils in the kitchen. The wifi gets cut off automatically after around 10 min. 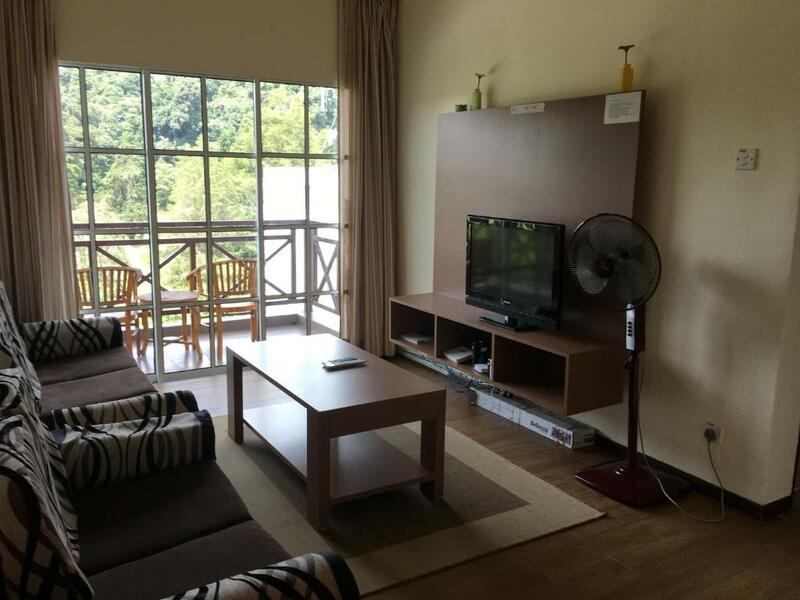 The location is about 3km from Tanah Rata and 2km from Brinchang. It is suitable only if you drive.